The Thirty-Ninth Meeting of the Community Council of Ministers opened on 9 January 2017, at the CARICOM headquarters, Guyana, under the chairmanship of Guyana’s Vice President and Minister for Foreign Affairs, Hon. Carl Greenidge. In his remarks to the Official Opening, Secretary-General of the Caribbean Community, Amb. Irwin LaRocque told the gathering that 2017 was “a crucial year for the Community’s Reform Process, as it was the mid-point of the five-year (2015-2019) Strategic Plan for the Community, a foundational element of the process. He informed that the Operational Plan for achieving the goals of the Strategic Plan was designed and that a system to measure progress, based on the principles of Results-Based Management, was being established with financing from the Caribbean Development Bank. Amb. 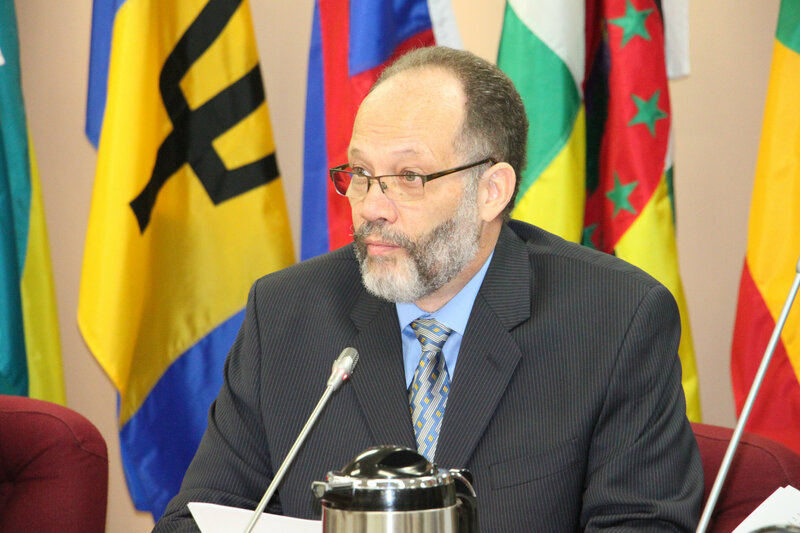 LaRocque said that the gender sensitive CARICOM Results-based Management System was a timely and necessary initiative which would bring significant changes to the way the Community works. “It will assist in fostering a results-oriented culture throughout the Community and will help us to measure the pace of the regional integration process and its impact on the lives of the people…”, he said. “It is our path to sustainable development and the continued improvement of the lives of the people of our Community”, he said. Minister Greenidge will guide the two-day meeting of the Council, which comprises ministers responsible for CARICOM Affairs in Member States and is the second highest Organ of the Community. The Council has primary responsibility for strategic planning and coordination of the Community, in accordance with the policy directions established by the Conference of Heads of Government. By caribbeanclimate in News on January 10, 2017 .